"Before and after” pictures really demonstrate the power of your product in an easy to understand format. 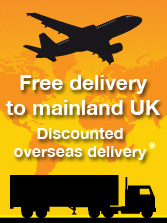 This is why the Picture Dissolve interactive mailer will make your message really stand out. 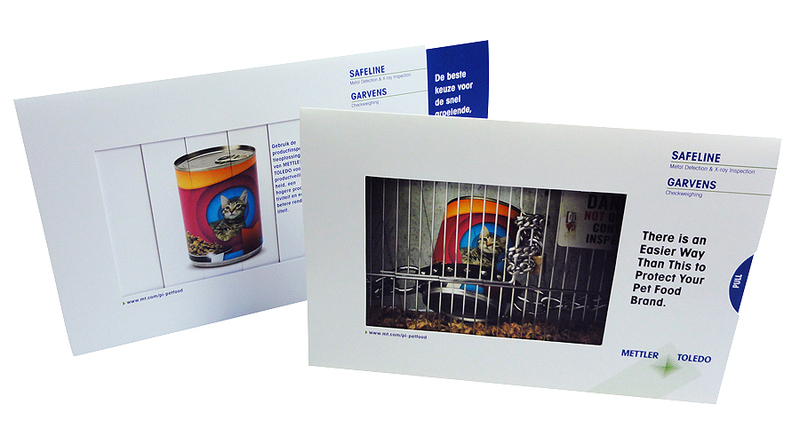 These products really are the ideal direct marketing products for illustrating change. 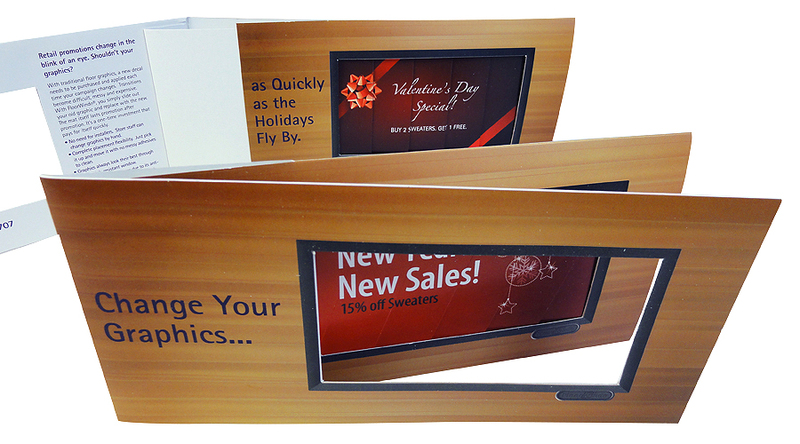 It is probably not enough to say “Out with the old, in with the new”, the message needs to be hammered home and a vivid imagination is required to come up with the right interactive mailers for your business marketing ideas. 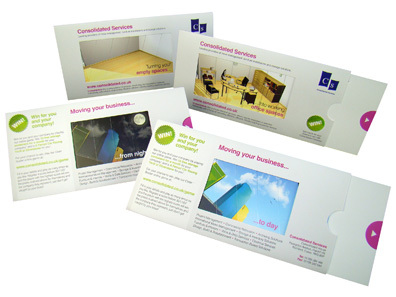 To assist with that, we have a selection of styles of dissolving picture card with varying degrees of creativity to help to make your promotion unique. 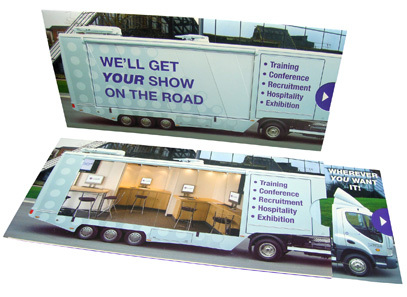 A Cover Dissolve is an excellent interactive event publicity product with a changing picture. 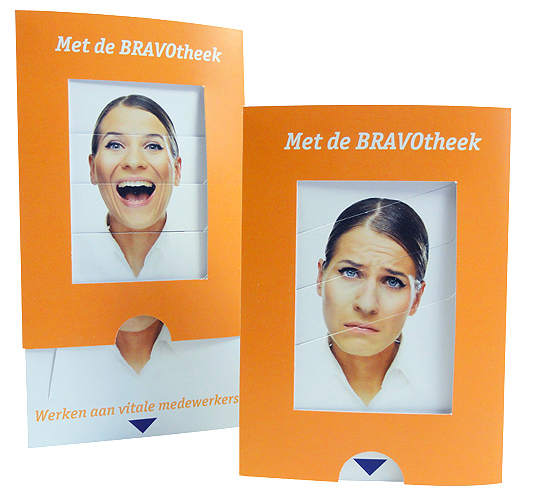 The simple interactive involvement from your customer of opening the cover activates the picture-changing mechanism. 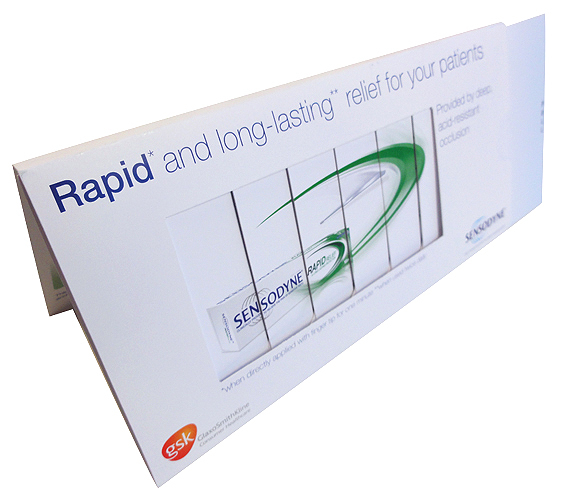 The product provides a fun and fascinating way to display your products making it ideal as an exhibition handout, direct mail, a tradeshow giveaway and perfect for product launch publicity. The cover dissolve mechanism is quite clever without being “showy” and as such, it is an ideal candidate for use as an invitation to a business conference or seminar. The cover dissolve has historically proven to be a successful business communication product when used to add an attention-grabbing quality to products placed at the “serious end” of the product spectrum. It has been popular in medical and pharmaceutical marketing, for products in the chemical industry and for marketing building and construction materials for example. 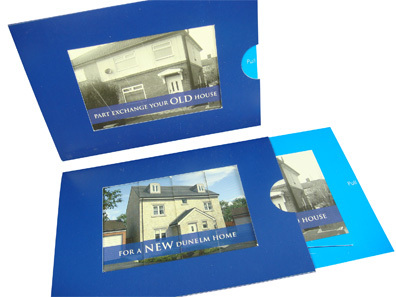 The Picture Dissolve is a neat interactive mailer and marketing product - pull the tab and the picture in the window dissolves into a new picture. Push the tab back in and the original picture re-appears. To change the picture in the Cover Dissolve style you simply open the cover! 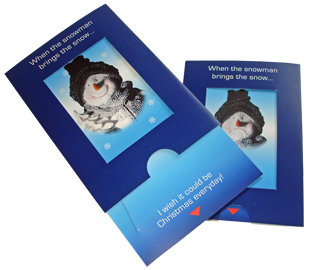 These promotional marketing products, the dissolving picture card range, make really tactile interactive mailers which is why they are some of the most popular items in the promotional product range. 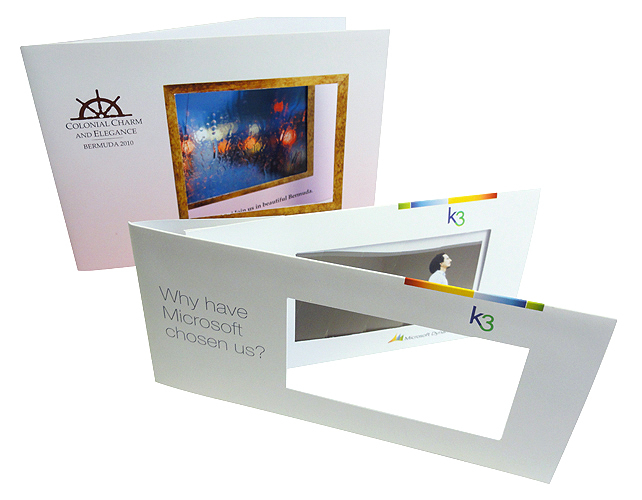 Many creative marketing ideas have been applied to the picture dissolve and it has been used as a business relocation announcement, new product launch, trade show giveaway, hospitality event invitation, magazine cover mount, promotional mail shot - you name it - it is a really versatile promotional product. 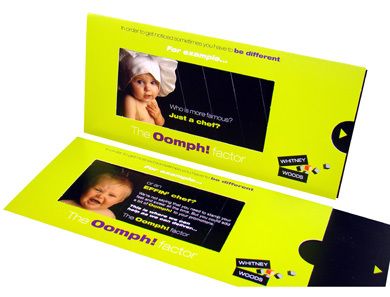 Here are a few business marketing ideas for this interactive mailer product: now you see it - now you don't, changes, relocation, moving, before - after, full - empty, open - closed, on - off, up - down, in - out, over - under, left - right, bottom - top, black - white, opposites, movement. You may need two sets of Dissolving Pictures to illustrate your marketing message and if that is the case, we even have a product that we call a Double Dissolver. For extra intrigue and interaction, you might take a look at the Cover Dissolve However, the most simple and straight forward product for giving instant impact is the standard Picture Dissolve. 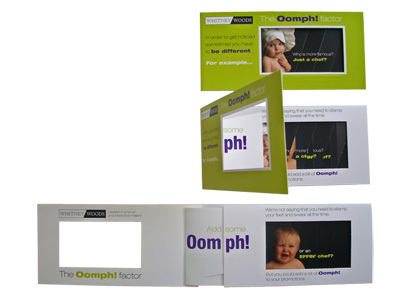 Whilst we are confident you will find your ideal interactive mailer from the current styles we can do custom-made Dissolving Picture cards – just ask!